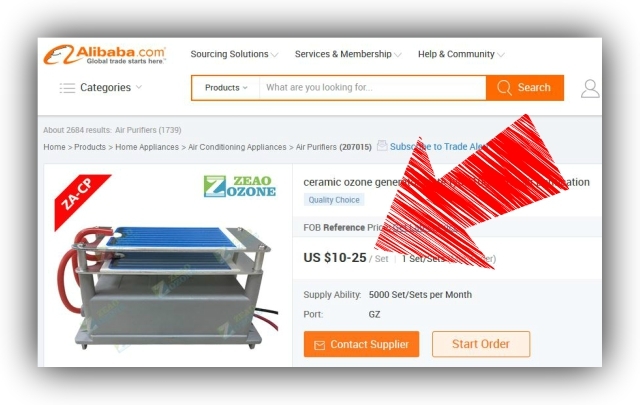 With so many companies selling ozone machines online how do you know what to believe? It's easy. Trust the guys who actually build their own ozone machines and know exactly how to use them instead of those who simply resell cheap, repackaged chinese import ozone machines. MOST OZONE MACHINES WORK SLOW AND FAIL FAST. NOT OURS. 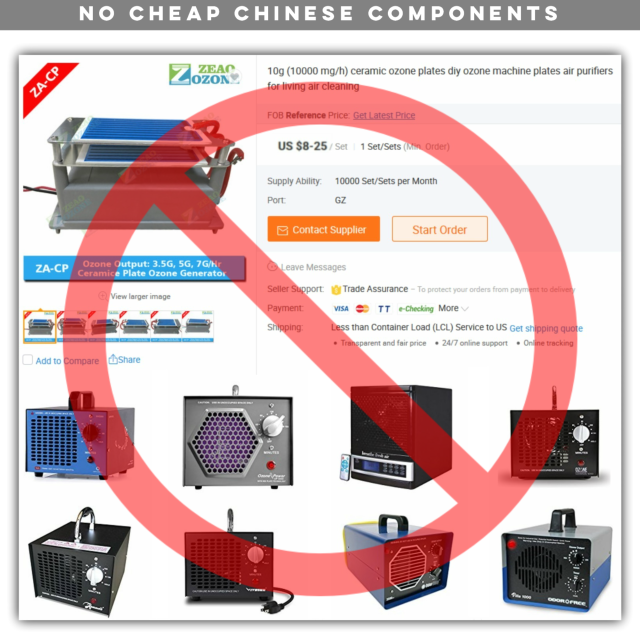 Almost all other companies selling ozone machines online simply repackage cheap chinese components and resell them for much more than their true value. Look for yourself. 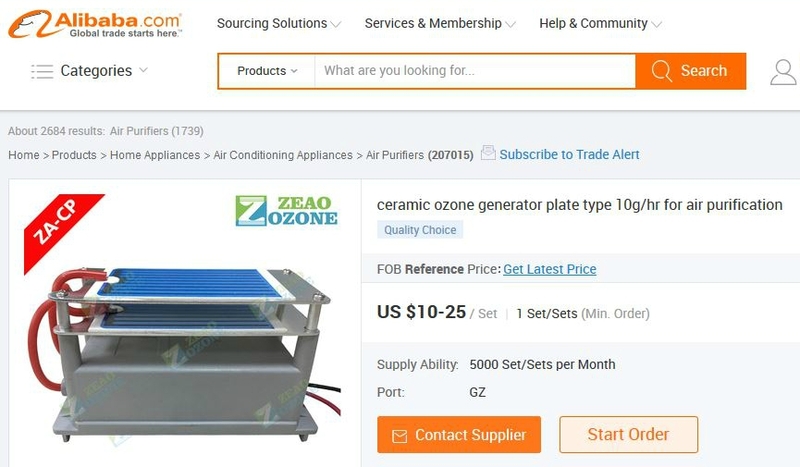 Go to www.alibaba.com and search 'ozone generator plates'. You can import a 10,000mghr ozone component set for only $10. Repackage it with a simple fan inside any type of box and you too can become and ozone generator manufacturer. But there is much more to it than that and smart buyers usually recognize the difference between fake and authentic American Made. With the highest attention to detail we strive for perfection in each and every one of the ozone machines we produce in Avon Lake, Ohio. Now having manufactured tens of thousands of machines we've learned a ton about what works and what doesn't. We've perfected our methods each year to result in what we believe are the ultimate ozone machines. Unlike all other companies that simply buy import components from china, repackage them into various external boxes, and resell them for many times their true value, we manufacture our MaxBlasters from start to finish using our own unique design and materials purchased entirely from USA suppliers. We are not internet resellers. Each MaxBlaster is handcrafted in Avon Lake, Ohio and sold direct at wholesale prices. Our goal has always been to produce the highest amounts of ozone for the least amount of money so we include no unnecessary features or parts that simply drive up the price of other machines. For over ten years we've continually refined our production process resulting in a minimalist design that maximizes ozone output and longevity. In the last year alone we made several key discoveries & engineering improvements meaning our new 2015 edition machines are our highest quality generators to date. Unlike companies that import plates from china we are the only company that uses our own unique generator (plate) pack design. While many have tried to duplicate our system none have succeeded in matching our performance and quality standards. Don't fall for the hype of other new, untested plate designs. Our gen packs are used worldwide by thousands of home & business owners every day. Learn more about our gen packs here. Another key element to our design is our use of arguably the world's best ozone generating transformer. Unlike imported transformers that frequently fail and need replaced our severe-application transformers not only produce twice the ozone as conventional transformers, they can be trusted to perform for years to come. For more information on the specific benefits and design features of our transformers request PDF spec sheet. Each MaxBlaster is wired in an efficient manner to allow for maximum airflow through the chamber of the machine and easy self-replacement of the generator pack if/when you ever desire to replace it. 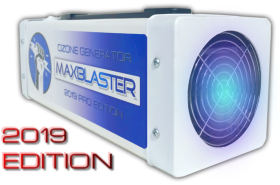 By replacing the generator pack in your MaxBlaster you can immediately bring it back to brand-new performance standards. We use stainless steel fasteners and we offer a lifetime warranty on all internal wiring and connnectors. The only thing stronger than the components within our machines is the integrity and attention to detail exhibited by our team of builders. Unlike companies using import labor practices our fabricators are successfully retired veterans who are motivated primarily by the joy of producing the highest-quality USA made ozone generators. Read at the bottom about how one of our lead builder works to benefit the Camp Burton charity. Each MaxBlaster is tested for up to 24 hours prior to shipping in our ozone monitoring chamber. Featuring technology that allows us to test up to 20 machines from within a controlled environment we rigorously check for proper oxygen flow, ozone output, and commercial strength resistance to accidental breakage. Other companies rely on chinese factory testing to make bold quality claims while we actually provide evidence to our own. It doesn't matter how great your ozone generator is at the factory if it arrives to you with shipping damage or in non-working condition. We seal each MaxBlaster in plastic wrap then place it within a fitted 16"x 6"x 6" box. This fitted box is then lined with shock absorbing rolls and combined into the final shipping box. Any accessories you purchased with your MaxBlaster are included inside the box along with our easy operators guide. When you buy a MaxBlaster you buy direct from us in Avon Lake, Ohio. We build each machine from start to finish using our own unique design and ship direct to home & business owners worldwide. Unlike sellers that simply mark-up the price of repackaged import machines, each MaxBlaster is 100% Made in the USA and shipped direct to the end customer ensuring you the maximum value for your dollar. See our best deal guarantee to learn more. In recent years there have emerged many new companies selling ozone generators and making bold claims of long term value even though they've only been in business a short time. At MaxBlasterUSA we have the experience of building, selling, shipping, and helping our customers maintain thousands of our ozone generators since 2004. Anyone can start a business that sells ozone machines. It takes a lot more to keep customers satisfied for over ten years. Contact us anytime to work with us direct!